Tickets from $25 are available from TicketMaster.com here. The magnificent doubleheader opens the semi-final stage of the World Boxing Super Series and the quest for the Muhammad Ali Trophy in the 140lb and 118lb edition of the tournament. Tickets for the incredible WBSS semi-finals in Lafayette on 27 April are available now from $25 via TicketMaster.com here. favour of ‘Mad Bee’, to reach the semi-final, while tournament No.1 seed Regis Prograis advanced in more dominant fashion on October 27 in New Orleans, also via a unanimous decision, over the UK’s Terry Flanagan. The judges had it 119-108, 118-109, 117-110 for ‘Rougarou’. October 13 in Ekaterinburg, Russia Zolani Tete outpointed Russia’s Mikhail Aloyan with scores of 114-110, 114-111 and 114-111 for the ‘Last Born’, when he booked his place in the semi-final. Nonito ‘The Filipino Flash’ Donaire, a four-division world champion, won his quarter-final on November 3 in Glasgow, Scotland as No.1 seed, Northern Ireland’s Ryan Burnett, was forced to retire from the fight after four rounds of action due to a lower back injury. Since relocating from his native New Orleans to Houston after Hurricane Katrina, boxer Regis Prograis has passed through Lafayette countless times, but seldom stopping there. Now, Acadiana is increasingly appearing to be the site of the biggest fight of Prograis’ career. Multiple sources said Sunday that Lafayette remains the most likely venue, although Atlantic City, New Jersey, and Fresno, California, are also under consideration. An official confirmation should come this week. A WBSS bantamweight semifinal unification bout between Nonito Donaire and Zolani Tate would be the feature match for the show to be held at the Cajundome and streamed worldwide by DAZN. They would be the first world championship fights in Lafayette. For Prograis (23-0, 19 KOs), it will be his first title shot. The 30-year-old is ranked No. 2 at 140 pounds by ESPN. Relikh (23-2, 19 KO) is a native of Belarus although he usually trains in Fort Lauderdale. “We’ve been working on this for a while,” Prograis said Sunday from his home in Houston. “I’m glad we finally got the deal done and we’ve got a date. Longtime Lafayette boxing promoter Kerry Daigle, who would carry the title of “executive strategist” for the show, said that all of the arrangements have been made to stage it at the Cajundome, and it was now up to Comosa AG, the Swiss-based owner of the WBSS, to make the final call. Leon Margules, the promoter for WBSS cards in the US who is also Relikh’s promoter, confirmed that Sunday, adding that he could see no last-minute impediment to Lafayette. Prograis’ past two fights were in New Orleans at Lakefront Arena and he had expressed the desire to return there for the semifinals. As the No. 1 seed in the tournament, he should have had the leverage to make that happen. However, Prograis’ last fight, a unanimous decision over Terry Flanagan on Oct. 27, drew fewer than 2,000 paying fans. Also, April 27 falls during the opening weekend of JazzFest. 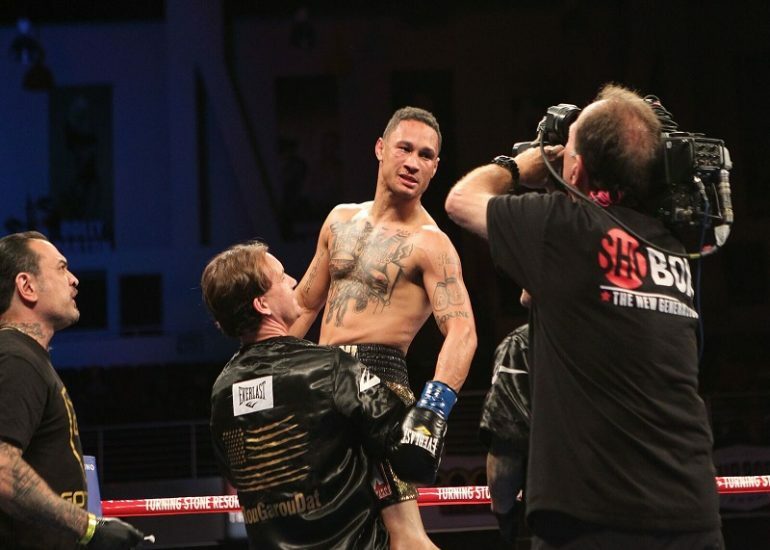 “I told them I really wanted to fight in New Orleans again, and this time I’ve got my team out there making sure it would be promoted right,” Prograis said. “But they kept pushing it away. For a time, it appeared that Prograis-Relikh would be held on May 18 in Glasgow, Scotland, as part of a WBSS doubleheader featuring Josh Taylor against IBF champion Ivan Baranchyk in the other super lightweight semifinal. However, Baranchyk pulled out of the tournament last month, citing financial concerns among other items. Prograis’ management then threatened to pull him out as well unless the Relikh fight was relocated, preferably to the U.S., and in April instead of May. Margules, who is Relikh’s promoter, said his fighter could not be ready before April 27, which he viewed as making New Orleans problematic. There was no suitable venue in Houston as well, so Margules and Daigle came up with the idea of Lafayette, roughly midway between the two cities. Daigle was able to get help from local government and tourist commission officials, putting it ahead of other American cities with the added advantage of location. 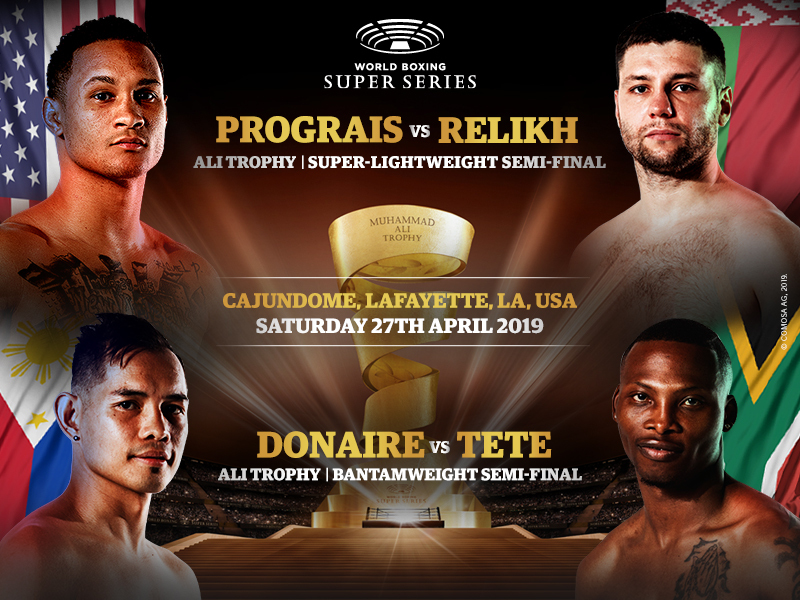 There were more than a few bumps along the way, but New Orleans native Regis Prograis is getting his title shot against WBA super-lightweight champion Kiryl Relikh at the Cajundome in Lafayette on April 27. The bout will be streamed worldwide by DAZN. A bantamweight unification bout between WBO champion Zolani Tete and WBA titleholder Nonito Donaire is the feature bout on the card. They will be the first world title fights to be held in Lafayette. The official announcement from Comosa AG, the Swiss-based parent company of the World Boxing Super Series, of which the Prograis-Relikh fight is a semifinal, will be made after Mardi Gras when tickets go on sale. But the deal is in place, ending weeks of negotiations between the WBSS, the participants, and, ultimately, local tourism and arena officials. “This is really a prestige event for us,” said Ben Berthelot, president and CEO of the Lafayette Convention and Visitors Commission. “These fights could have been held in any city in the world, but they’re going to be here. Prograis (23-0, 19 KOs) said, for his part, he is glad the deal is done, even if Lafayette wasn’t his first choice of venue. For a time, it appeared that the fight wouldn’t be held in the U.S., or maybe anywhere else, much less Louisiana. Financial disputes plus the usual multiple interests involved had put the WBSS, which is staging eight-man tournaments in the super lightweight, bantamweight and cruiserweight divisions in jeopardy. After last fall’s quarterfinals, the plan was for the semifinals to be held at six sites in February and March. But the shows to delayed and consolidated into three doubleheaders. Glasgow, Scotland, and Riga, Latvia, were picked as the other two sites. Prograis, the No. 1 seed in the 140-pound tournament despite not being a titleholder, reportedly was to meet Relikh (23-2, 19 KO) on May 18 in Glasgow as the feature bout to the other super lightweight semi between IBF champion Ivan Baranchyk and Josh Taylor. But Baranchyk pulled out, citing unhappiness with the WBSS finances and, and Prograis’ management team threatened to do so as well. That issue was resolved as was compromising on a date — Prograis wanted mid-April and Relikh mid-May. But April 27 conflicts with JazzFest, and in part due the high cost of securing 500 hotel room nights during the week, to New Orleans was deemed out by Leon Margules, a Miami-attorney who handles promotions along with legal issues in the U.S. for Comosa (and is a co-promoter of Relikh). Poor attendance at Prograis’ WBSS quarterfinal, which was held at Lakefront Arena in October, was a contributing factor as well. Houston, where Prograis relocated after Hurricane Katrina and in which he continues to live and train, was considered, but there was no suitable arena available for April 27. Eventually, Margules and longtime Acadiana boxing figure Kerry Daigle, came up with a proposal for Lafayette. The Prograis camp finally accepted after pushing for Atlantic City, New Jersey and Fresno, California, among other alternatives. “All fight promoting is a risk, and we still have some unanswered questions,” said Sam Katkovski, Prograis’ Los Angeles-based manager. “But Regis is staying in the tournament and we’ve worked out an arrangement where we feel comfortable. Margules agreed that there were a number of compromises involved but pointed out that is the nature of boxing. “The delays made us review our locations,” he said. “And then we were down to trying to accommodate everyone within reason. Daigle, who has been involved in Lafayette-area boxing for more than 40 years, added that the city’s location and history of support for boxing will make the show a success. “We’re right on the I-10 corridor between New Orleans and Houston, so Regis’ fans from both cities will have an easy drive,” he said. “And then this is the level of boxing we’ve always dreamed about having in Lafayette. For Prograis, Relikh presents the toughest test of his career. The 29-year-old native of Belarus claimed the WBA title in March of last year with a unanimous decision against Rances Barthelemy, whom he’d lost to by a similar margin in May 2017. In the WBSS quarterfinals against Eduard Troyanovsky Relikh advanced via a close decision. “Kiryl is a very busy fighter,” Margules said of Relikh, who is training in Miami. “He throws a lot of punches and he’s also a technically-skilled fighter. Prograis, 30, advanced to the semifinals with a unanimous decision against Terry Flanagan on Oct. 27. It was only the fourth time a Prograis fight had gone the distance and his first which had exceeded eight rounds. “I could have probably knocked him out,” Prograis said. “But I wanted to go 12 rounds. Donaire-Tete presents a highly anticipated bout. Donaire (39-5, 25 KO), known as “The Filipino Flash,” is a four-division world champion who dropped down from featherweight to bantamweight to participate in the tournament despite not having fought in the division since 2011, defeating Ryan Burnett in his native Scotland in the quarterfinals. Tete (28-3, 21 KO) is a South African who fights out of Great Britain. He traveled to Ekaterinburg, Russia, for the quarterfinals where he decisioned Russian Mikhail Aloyan. The winners of the two bouts in Lafayette will advance to the WBSS championship bouts for the Muhammad Ali Trophy sometime in the final with the exact dates and venues to be announced — that is if finances allow the tournaments to continue. Margules said that if Baranchyk does not agree to return to the tournament a substitute would be found to fight Taylor. Prograis said he is not concerned with what happens to the WBSS after his right with Relikh, citing that either way he will have a world title — providing he wins the fight. After some Mardi Gras appearances in New Orleans next week, he will begin training both in Houston and Los Angeles. “People may have worried that all of these delays and the other stuff has affected me negatively, but that’s not so,” Prograis said. “I never lost faith in sticking it out to help make it happen.